Improving processes around procurement and IT can be greatly beneficial for institutions navigating cost challenges. The following interview is with Jeff Denneen, founder and global leader of the Higher Education practice at Bain and Company. Denneen wrote an article a few years ago discussing some of the approaches top universities like UC Berkley, UNC and Cornell put into place to reduce costs and improve services. 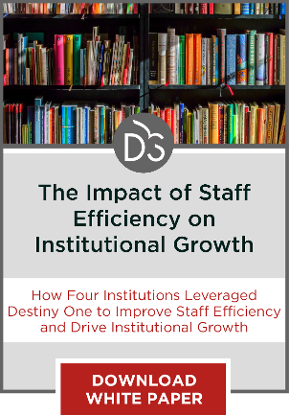 In this interview, Denneen reflects on that piece and discusses some of the approaches institutions nationwide can take to improve their operational efficiency. 1. Why are higher education institutions under so much pressure to streamline internal processes and reduce operational costs? It’s a problem that has been brewing for a long time. If you go back over the past 30 years, the annual growth rate in expenses at a university has been roughly seven percent per year. Over time that has translated into [increased] tuition for students, increased borrowing and financial aid through loan program for students, or increased state support for public institutions. We’ve reached a little bit of a bubble where the revenue streams simply aren’t there anymore and people and states can’t afford their tuition or their contributions go up at that type of rate every year. Institutions are really faced with a difficult challenge: how do we continue to deliver the same quality of education if not better for less money? That’s what’s lead them to focus on internal processes, you’d certainly rather cut your support costs than your cost that’s going into teaching students or conducting research. 2. 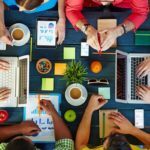 A few years ago, you co-wrote an article exploring some of the strategies UC Berkeley, UNC and Cornell were putting into place to streamline their processes. Can you briefly discuss what those schools changed? Typically I think of the world in a university as having a core, the teaching and the research, and particularly for public institutions, probably a third leg to the stool is community engagement or community service. You then have your non-classroom learning and student experience as the next ring out. Then you have your academic support functions like your libraries and career services and things like that. Then you really get to your true back office; HR processes, accounts payable, finance and data centers at the IT shop. Then you can go one more ring out and you’re looking at purchased goods and services. As we’ve worked with universities, we’ve really encouraged them to start in the outer ring with procurement and see how much money we can save by spending less on onsite vendors, by being smarter about what we buy and how we buy it. The third part is that you start thinking about how you set up your other support processes around it. Each of the schools has tackled those things and the solutions end up looking simpler or less complex than the way universities tend to operate today. It requires breaking down some of the silos that you typically see in a big university and helping people learn to work across organizational boundaries to start building a little bit more scale and capability, but actually delivering those things for less money. 3. What are some of the biggest roadblocks that administrators tend to have when it comes to introducing more efficient business processes to make those back-end elements run more smoothly? In all the work that Bain has done in higher ed, we see some very common themes around this. A lot of it has to do with the complexity that’s inherent in the way that universities have been set up and managed over time. Each unit tends to operate with tremendous autonomy and a very clear set of incentives that really drives them to be independent. 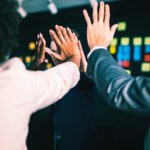 By collaborating, blurring lines and potentially resetting the way incentives work, you can actually achieve much greater things. You can deliver back-office services on a campus better and less expensively if you cooperate across operational lines. 4. How does the institution benefit from these efficiency-related changes? One of the most interesting things that Bain has found in working with universities is that they don’t have a strong grasp of strategy. If you think about strategy at its essence, it’s really about how do you make decisions about the allocation of scarce resources. In an industry where costs have been going up seven percent per year and the revenue has always been there to match it, that sense of resources being scarce hasn’t really existed before. Universities really need to step back now and be much more thoughtful about where they’re allocating those resources in the decisions they make. What we’ve seen from 2010-12, which extends beyond the prior report, is that over half of the institutions out there saw the expense ratio decline by five percentage points or more. 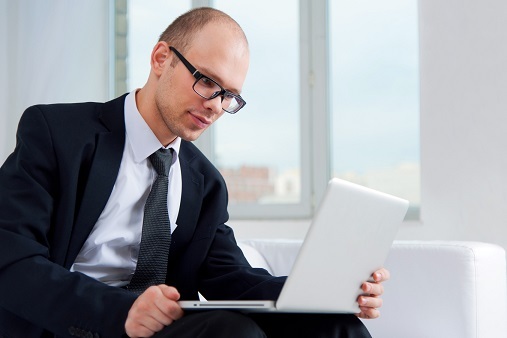 The expense ratio is effectively your operating expenses over your revenue. What’s interesting about it is that they actually did make some progress reducing cost. As you step back and you think about it, it really requires a clear strategy focused on how to differentiate your institution to get the revenue back on the positive side and growing. A lot of the work we’re doing now with our clients at Bain is helping them think through the strategy aspects and challenges that they face at an institution. If institutions don’t step back and really think about this thoughtfully and make some hard choices, they’re going to find that they’re still going to invest in everything but they don’t have quite enough money to do it. Those things will be therefore less effective and less competitive with other programs, therefore they’ll generate less student interest, and faculty members might not want to stay there anymore. 5. Reflecting on your experience in the postsecondary space, what would you consider to be “low-hanging fruit,” or processes that most institutions can streamline to reduce their operational costs? First and foremost, go after procurement. It is not particularly controversial, it doesn’t require any negative job actions on campus and the dollars are very real. Any institution should be able to go out there with a good software procurement program and save at least five percent of what they’re spending, if not more. It’s just money that’s walking out the door that doesn’t have to. The second thing I’d go after is IT cost. IT tends to be incredibly fragmented on campus, it tends to be gold-plated in many areas and it tends to operate sub-scale. By getting the IT shop in order you could deliver substantially better IT services to a campus at significantly less cost than you’re doing today, and somewhere around 15 to 20 percent per year cost reduction in IT for better service. Institutional leaders do not have a strong sense of strategy, making it difficult for colleges and universities to navigate the challenges associated with doing more with less. Addressing issues around procurement and centralizing IT can provide institutional leaders with “quick wins” that reduce costs and improve efficiency. Strategy is difficult, even for businesses that are used to incorporating it into every facet of operations. I’d love to hear more about suggestions for how to develop a cohesive strategy for greater efficiency. I don’t fully understand why this hasn’t been the norm for a while now. Cutting down on expenses, particularly in areas that don’t involved negative job actions seems like a no-brainer. This is great advice. I bet he’s right about the amount of money just walking out the door due to poor organizational structures or just lack of attention paid to relatively simple things like procurement.